Police union, Police and Prisons Civil Rights Union (Popcru), has called on the Correctional Services Department to absorb employees from African Global Operations, formerly known as Bosasa into their workforce in light of the company’s impending liquidation. The company applied for voluntary liquidation after FNB and Absa announced that they were severing ties with the company and told it to find a new financial partner by the end of the month. 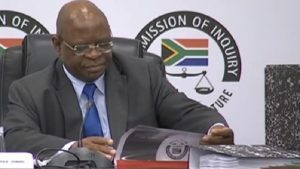 The company has been at the centre of the Commission of Inquiry’s into State Capture’s investigation, following allegations of impropriety, fraud and corruption. “Now, we feel that instead of the department changing shift patterns with the workers that are already in the department, what should happen is that all those who were at Bosasa should be incorporated into the Department of Correctional Services. We feel that these workers who were at Bosasa have got much more experience in doing that. But as well, we cannot just simply say that because of the problems that were created by the department and Bosasa – which were not created by the workers themselves – therefore, they should obviously take the blame for it,” says Popcru Spokesperson, Richard Mamabolo. The post Popcru wants Department of Correctional Services to absorb Bosasa employees appeared first on SABC News – Breaking news, special reports, world, business, sport coverage of all South African current events. Africa's news leader..